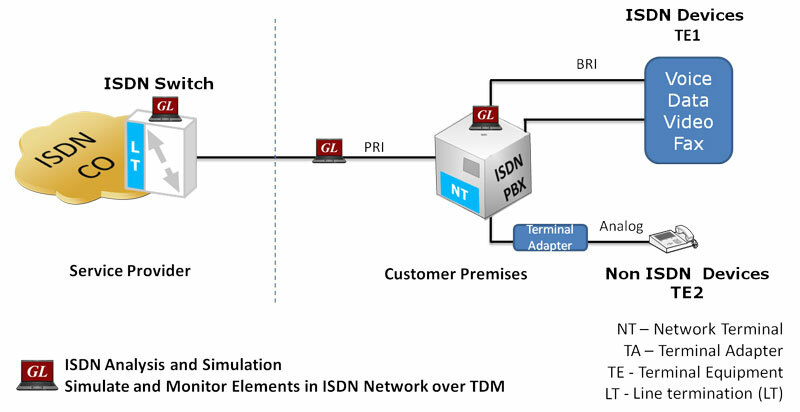 ISDN PRI Emulator (GUI based) can emulate a complete ISDN connection (switch to subscriber) all in the same PC and test ISDN products designed for either U or S/T interface, including network terminations, Type 1 terminating equipment, and terminal adapters. Visit https://www.gl.com/isdnemulator.html. ISDN PRI Emulator (Script based) - Visit https://www.gl.com/wcsisdnemulator.html. Scripted ISDN Emulator (based on MAPS™ Architecture) that can do almost anything with versatile framework, and powerful scripting, including conformance testing, and support for high volume of T1s and E1s. Visit https://www.gl.com/maps-isdn.html. ISDN Emulation for Voice Quality Testing and Analysis uses USB Lite platform with GL’s VQuad™ for T1 E1 line interfacing and provides QoS measurements. Visit https://www.gl.com/vquad.html. GL’s supports capture, decode, and simulation of ISDN PRI interface with the following list of products. ISDN PRI Analyzer - Classic and complete ISDN PRI D-Channel Analysis, NFAS and every Variant for T1 E1 lines, Ladder diagrams, CDRs, and a lot more. Visit https://www.gl.com/isdn.html. PRI ISDN Triggered Call Capture and Analysis - captures a call based on ISDN signaling; the ISDN signaling and the voiceband capture are available for viewing. Visit https://www.gl.com/call-capture-and-analysis-over-t1e1.html. Complete Storage and Analysis of every ISDN PRI Call on any number of T1 or E1 lines, includes Voiceband and signaling information. Visit https://www.gl.com/call-data-recording-and-analysis.html. T3, OC-3, STM-1 analysis - Visit https://www.gl.com/t3e3oc3testing.html page. 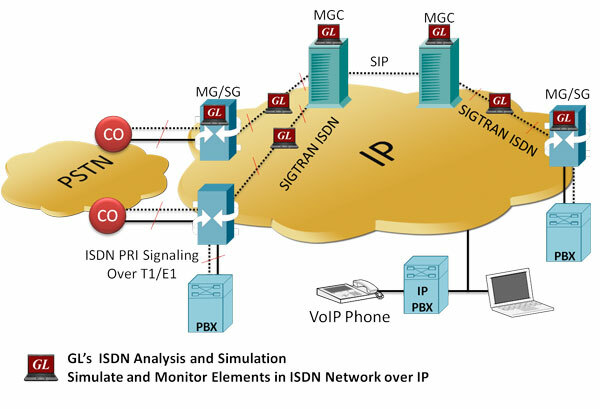 Simulation of SIGTRAN ISDN over IP (MAPS™ SIGTRAN ISDN) can simulate a complete ISDN connection between SG (Signaling Gateway) to MGC (Media Gateway Controller), where ISDN signaling are as defined by the ITU-T Q.921 / Q.931 standards. Visit https://www.gl.com/maps-isdn-sigtran-emulator.html. Simulation of SIP-ISUP over IP (MAPS™ SIP-I) can simulate Signaling Gateway / Softswitch as a User Agents Client (UAC), which sends SIP requests with ISUP message and User Agent Server (UAS), which receives the requests as Signaling Gateway / Soft switch and returns a SIP response with proper ISUP message attached. Visit https://www.gl.com/maps-sip-i-emulator.html. SIGTRAN ISDN over IP Protocol Analyzer - SIGTRAN protocol decoder software for ISDN and SS7 signaling messages over IP. Visit Sigtran Network Protocol Analyzer webapge. 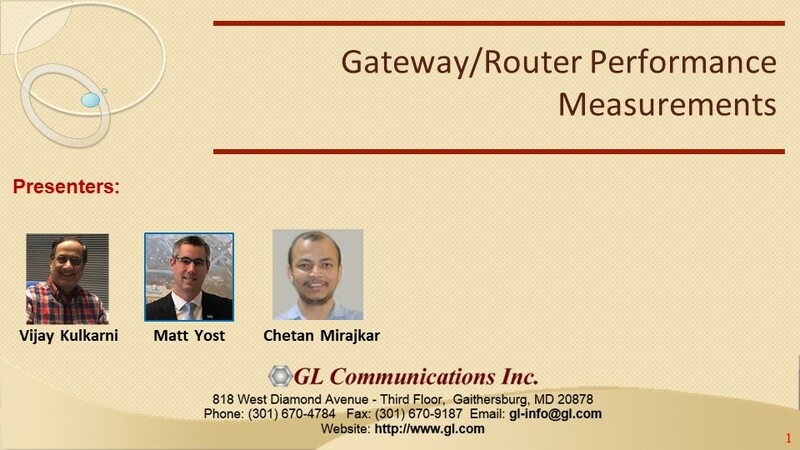 Online and Offline Packet Analysis - includes SIP-I and SIP-T decodes, these carry ISUP (ISDN) signaling. Visit https://www.gl.com/packetscan-all-ip-packet-analyzer.html. Console based Decode Agent for ISDN to build your own Network Surveillance and Monitoring of ISDN PRI Networks. Visit https://www.gl.com/ss7isdnpdainwcs.html. Complete Network Surveillance System for ISDN PRI Networks, monitor signaling, collect CDRs, WEB Server and Browser for ISDN PRI Network Surveillance Visit https://www.gl.com/web-based-network-monitor-analysis-wireless-ip-tdm.html. Automatic detection of ISDN Protocols - Visit https://www.gl.com/protocol-identifier.html.